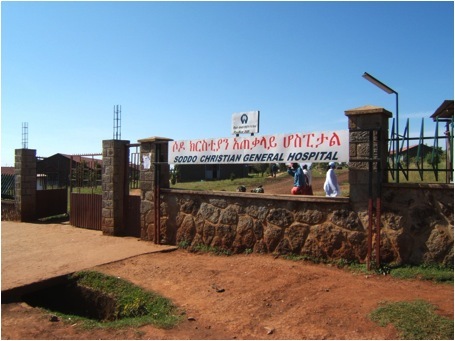 Profile: Soddo Christian Hospital is a 199 bed facility located in a mountainous region with beautiful weather. There are four wards (1) surgical, (1) maternity, (1) medicine/pediatrics and (1) orthopedic. Current long-term expatriate staff include (1) general surgeon, (1) orthopedic surgeon, (1) OBG and (1) internist. Travel: Volunteers will fly commercial airlines to Addis Ababa. It is a five-hour drive from Addis Ababa to Soddo. Location: Soddo is 400 Kilometers south of Addis Ababa in a mountainous region with beautiful weather at 7,400 feet elevation. Soddo, the town, is in the middle of the Wolaitta people of 2.5 million in the Southern Nations – Nationalities and People Regional State (SNNPRS) with approximately 12 million people. Language: English is spoken by most hospital staff. Amharic is the office language of Ethiopia. Religion: Animism and Orthodox Christianity are the primary religions. SIM evangelical Christians now have over 950 churches and over 120 evangelists in other areas of Ethiopia. Muslims have targeted Ethiopia and this area specifically. Climate: Temperatures range from 60 F–65 F at night with daytime temperatures ranging from 80 F–90 F. The humidity is generally low. The rainy season is May to October. At 6,800 feet elevation the sun is intense. Housing: Accommodations are in a guest house or duplex depending on the number of guests. The homes and guest house is completely furnished and have electricity, running water, water filters, refrigerators, gas and electric burners, electric ovens, microwave. There is domestic help who can prepare meals and do cleaning. Most foods can be purchased in the city of Soddo. Butter, meat, and processed foods should be purchased in Addis Ababa before arriving at the hospital.